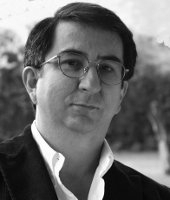 Although Jose drew early inspiration from the Harvard Project on Negotiation as director of the International Negotiation Program at the UPB University in Colombia, his further research and commercial experience with sales, procurement and various levels of management and executive clients has broadened and enriched his approach and style. Comments we regularly see from Jose's clients include how his programs are high impact, real to life, opened their eyes in self realisation, and focused on their current commercial needs. Negotiation training is a passion for Jose Ignacio and he has been proud to bear witness to those clients who have consistently applied the concepts of his negotiation teachings, as they change the way they think about their business negotiations and reap greater business and personal rewards as a result. Since 1991 Jose has trained more than 8,500 negotiators in his work with more than 200 companies. Seeing negotiation as a competency to be cultivated, Jose believes in drawing from fields allied to negotiation, including persuasion and influence, creativity methods, strategy, and decision making. Jose is comfortable working with clients from a variety of industries, including: banking and financial services, telecommunications, construction, aviation, government, manufacturing and retail. While client work has been predominantly in Latin America, in recent years Jose is working increasingly in both Portugal and Spain. Jose is a professor at the University of Porto Business School in Portugal, lecturing in the Magellan MBA program. Jose has gone to great lengths to translate some of the more complex concepts of business negotiation into more easily digestible language and stories which are readily understood across cultures. When infused together with real life exercises, clients are more easily able to put their new skills to work. Believing that learning should be highly engaging and fun, part of Jose's secret rests in how he sprinkles humour throughout his exercises and case studies. Jose enjoys consulting and at times coaching his clients as they design, plan and execute difficult negotiation. Jose began his career as a qualified engineer, and graduated with an MBA. Jose is a successful author, his negotiation books having to date sold almost 30,000 copies. These books include: Bases y Fundamentos de la Negociación (1994), Reingeniería de Procesos (1995), Negociación Internacional (1996), Método Harvard de Negociación (1997), Caja de Herramientas para la Creatividad (1998), Cómo Negociar Con Gente Difícil (2000).